You will be picked up at your hotel lobby and transferred to Shanghai airport. Be met at the arrival hall of Xian airport by our guide. Today, you will visit the most important Xian attraction-the Terra-cotta Warroirs and Horses “Underground Army” from more than 2,200 years’ ago. After the tour, transfer to hotel. Continue our cultural journey in Xian. 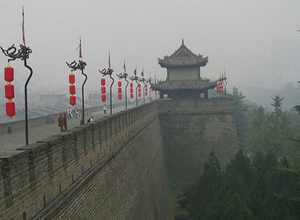 Ascend the ancient Xian City Wall to find the past traces of the city. Come to the Muslim Quarter to experience different lifestyle. Have lunch and then visit the Shaanxi History Museum, one of the best museums in China, a quick way to learn Xian culture and Chinese history. Go to Gao’s Courtyard to enjoy the shadow play which is a traditional Chinese art.